We specialise in made to measure roller, venetian, vertical, roman pleated blinds and interior shutters in Portsmouth Hampshire and surrounding areas. Our blinds are made to your personal specification, with a wide range of materials, colours and options available to create individual styles. Every blind we supply comes with a complimentary 12 month guarantee. 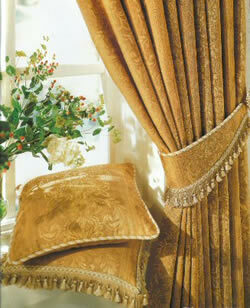 We also have a wide range of curtains and accessories. Please contact our sales team. 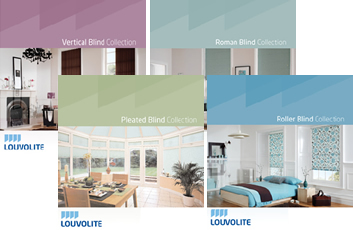 Over 400 fabrics to choose from in our budget, retail or contract vertical blind ranges. Our headrail is white and slimline in profile and very reliable. Various options of drawing and controlling these blinds are available. Free measuring & fitting service on Roller Blinds in Portsmouth, Hampshire and surrounding areas. Over 200 roller blind fabrics to choose from based on a reliable 32mm aluminium roller with an anti-slip groove and non-slip brackets. Our roller blinds can be operated with a left hand or right hand sidewinder control or as an option with a spring loaded centre pull, if required, at no extra cost. Free measuring & fitting service on Interior Shutters in Portsmouth, Hampshire and surrounding areas. Interior shutters with adjustable louvers can be designed in many different styles and come in a large range of louver sizes and colours. Shutters come in many different material and price options. Venetian blinds are quite unique and are probably the most well known of all blinds. They provide privacy when closed and to some degree when open, and by adjusting the slats, sunlight may be diffused so shielding and protecting furnishings and fabrics from fading. A simple and stylish blind with a variety of options and features our roman blinds come in a large selection of fabrics and colours. Left or right hand cord operation. Cream lining as standard, blackout lining also available. Lift cords are fitted at the back of the blind and operated from the front. Free measuring & fitting service on Pleated Blinds in Portsmouth, Hampshire and surrounding areas. Pleated blinds look great in any room setting and can be manufactured into an incredible variety of shapes and sizes. Pleated blinds are particularly suitable for conservatories where shaped skylight windows can be dresses with stylish fabrics that will help control the heat and glare in the summer.